As the new year approaches I am looking to get some more X-Wing matches in. 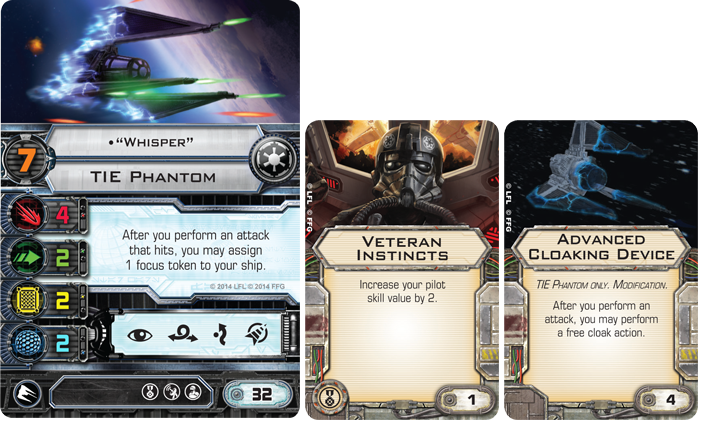 Late last year I really started to get into the Star Wars miniatures gaming scene but I didn't manage to get in as many games as I personally would have liked, I want to change that this year. I know that there are a lot of "Meta" lists out there but since I am just starting out I would rather avoid these and try out a number of different ships and upgrade cards just to see how they work and what sort of play style I want to try out. 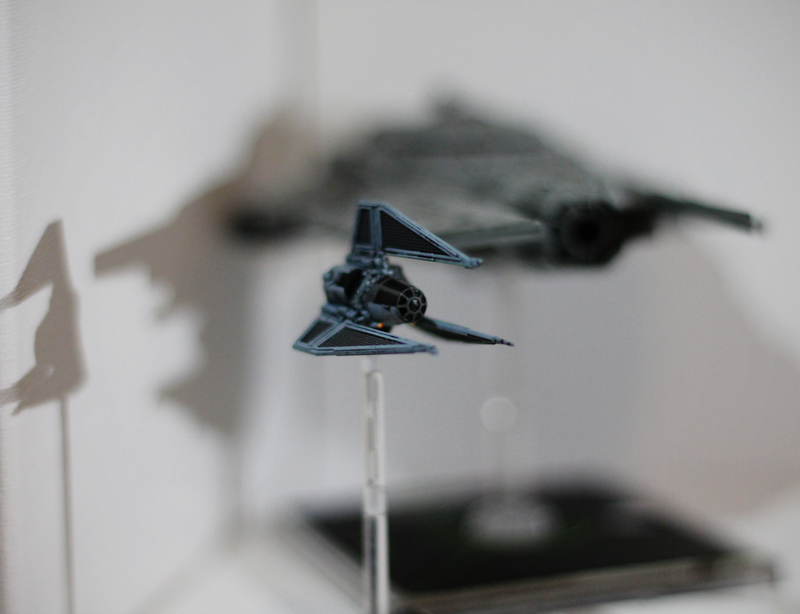 One of the first ships that I picked up, outside of the starter sets, was the TIE Phantom due to my childhood memories of the Rebel Assault 2 PC game where I was first introduced to it. Nothing seemed to be more fun that hitting my opponents with a lot of red dice before disappearing back into the shadows. 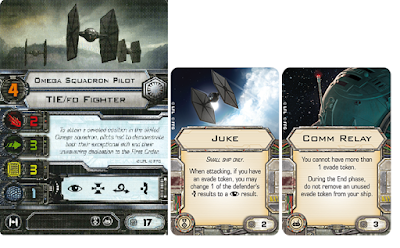 I guess I was quite fortunate in terms of the "Phantom Nerf" which affected a number of other X-Wing players because I never used them in the previous ruleset and therefore did not have to adjust to a new play style. 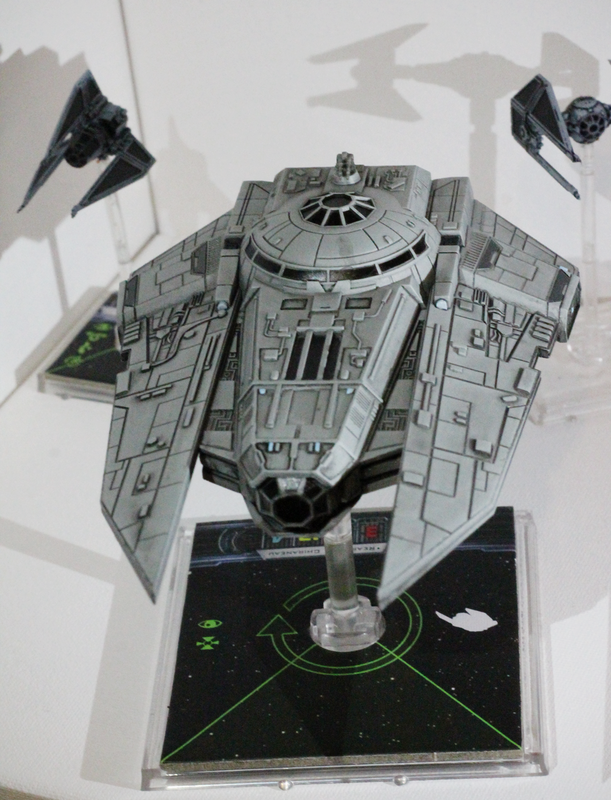 While they may no longer be everyone's favourite Imperial ship any more I still think that they have something to offer and I will hopefully be able to unlock something with them. So this probably isn't the most points efficient list available on the internet, and personally I want to try and fit outmaneuver on the TIEs somewhere, but it is designed to play to the my style when I previously used my TIE Phantom. Namely, jump in and shoot before disappearing. 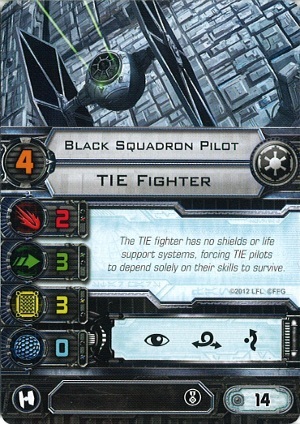 While Fire Control System could prove useful for Target Locks as the game progresses I felt that 4 extra shots from the "regular" TIEs could prove more useful as my opponent will have to at least pay attention to the two other fighters rather than solely focusing on the Phantoms, although they probably still will. Veteran Instincts is key for the Phantoms still as they need to cloak ASAP once in the combat phase and with all of the "Aces" now becoming available even PS 8 and 9 aren't exactly fast, so I have to hope that they can hold out against the early shots and that Wampa and Black Squadron can tidy up any mess that the Phantoms leave behind. Next up is a list that will fit in a big Imperial ship that I picked up a number of months ago which I haven't managed to use in a battle yet. It's 12 hull points should give it some staying power and the turret makes it the Imperial's only 360 degree threat. To make the most of it you have to maximise it's damage output before it is blown out of the skies. The key thing for the Rear Admiral here is Expose. 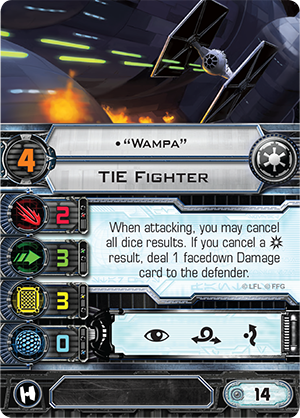 On most ships this wouldn't prove too valuable but the Decimator has no agility to lose so you are basically paying 3 points for an extra attack dice every turn. Experimental Interface allows me to kick this in as soon as I activate focus or target lock and Rebel Captive may force opponents to think twice about hitting the Decimator as no one wants to stress their "Aces" for no tangible benefit, and you won't be taking down the Decimator in a single turn, maybe not even two if I am careful. 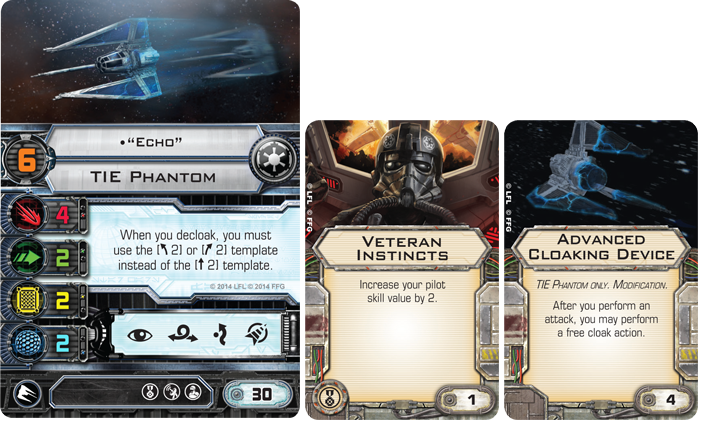 The bonus to this build is that if I sit at range 3 with RAC he can still take the 1 bonus evade dice when someone fires at him. The Decimator can bcome a really expensive ship to run, even here at more than half my points it may be too much but it has the opportunity to be effective. Alongside the Decimator are two of the new Force Awakens TIE Fighters with two upgrades that seem to be increasingly popular online. Juke and Comm Relay combine early on to allow you to, potentially, negate one of your opponents evade results. Just keep hold of the evade dice as long as possible! So, now that you have met everybody I think that it is time we get down to the good stuff! I won't be covering pre-season as I don't feel that there is much of interest that happens in terms of reporting back. 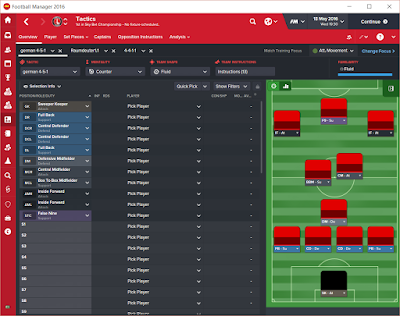 We played some games, fine tuned some tactics and decided on a starting lineup for the first game. Here we are, another new manager has walked through the doors of The Valley, the sixth (although one of the previous managers wasn't even in charge of one game) manager of Roland Duchatelet's reign as owner. If there isn't to be a number seven in the near future then we will need to hit the ground running, unfortunately the budget is pretty non-existent and what little I do have is spent recruiting new staff to help me with my task. The CEO and I sit down to discuss the owner's vision for the club and we find some common ground, so at least I will be starting off on the right foot! The owner would like us to develop our own young players and bring in young players for the first team. I may bring in one or two older players to help the youngsters along but one of the appeals of the job is being able to develop the next generation of superstars. Unfortunately I am told that there just isn't the money to upgrade our youth facilities at this time so we will have to work with what we have. 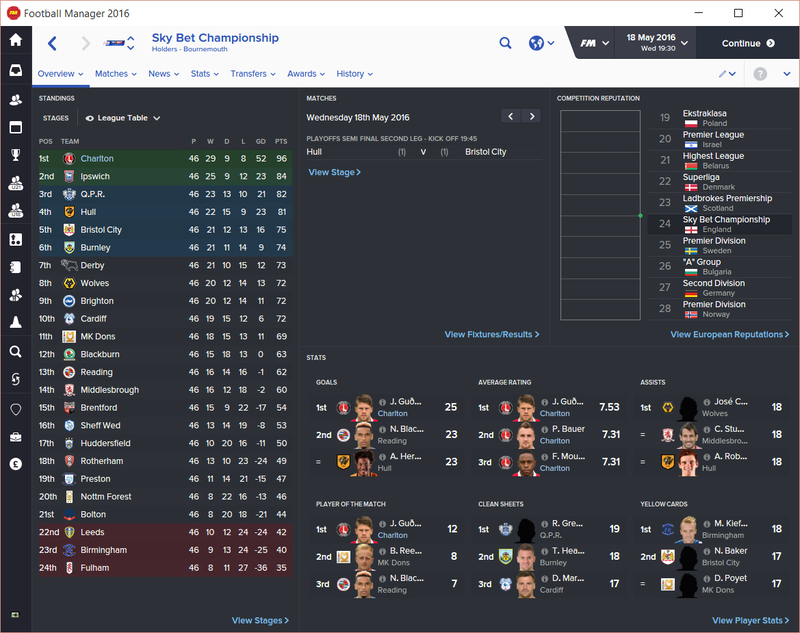 The CEO also tells me that the goal for the season is a very modest mid-table finish. I am happy to go along with this as it means that I should be able to over-achieve and prove to the board that I need to stay around longer than my one year contract. My squad are a fairly determined bunch, but there are one or two with a lax attitude towards training, I will get them to pull their weight or they will be out of the door! 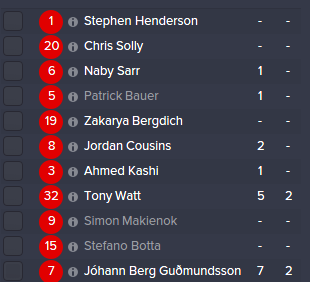 Most seem pretty happy with the idea of a mid-table finish and I decide not to push it with them, no point upsetting your players on the first day. You can meet some of the key players here. 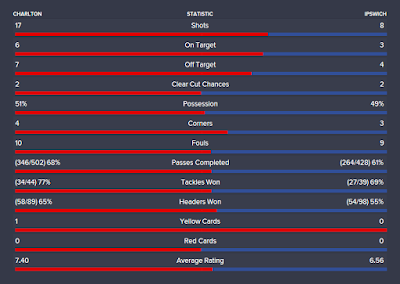 Tactically I decide to set us up to hit teams hard and fast. I based the tactic on the Germans at the 2014 World Cup, fast transition play up to the top 3 who look to get in behind the defence with midfielders making late runs and offering support outside the box. 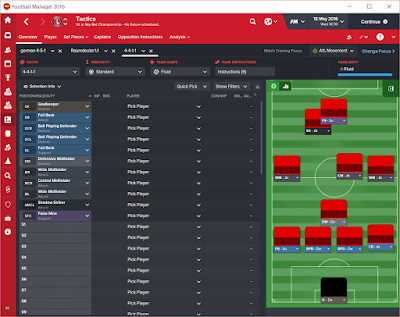 I tend to keep my tactics balanced in terms of roles, ignoring the goalkeeper, I go for 3 defend roles, 3/4 support roles and 3/4 attack roles. In this case the two centre backs and defensive midfield are set to the defend roles, with the two fullbacks and support creating a single pivot. Up next we have a box to box midfielder on a support role. He will be making late runs into the box but also pulling his weight in defence, Jordan Cousins is the perfect player for this role in my opinion, relentless energy and enough technical ability to pull off any number of roles on the pitch. Alongside him is a central midfielder with an attack role. He will be getting forward to help boost the numbers in the box, and keep the ball there, when we are attacking. I also hope that he will be able to harass any deep lying midfielders in defence. There are one or two players who could play this role for me, but no candidates that really jump off the page, with a lack of funding we will have to make do and see if we can develop any of the younger players to really make it their own. Up front are my attacking three. Two inside forwards with attack duties who will look to cut inside more and exploit any space the false 9 creates by dropping deeper in his support role. I don't expect too many goals from the false 9 but the inside forwards should have an abundance of opportunities to score. I am quite flexible during the game with my team instructions, changing the mentality from Counter to Control depending on the situation. I also change the team instructions throughout the game as well. As my centre backs are not the fastest in the world for particularly quick strikers I will have a deeper defensive line who don't play an offside trap, forcing strikers to play closer to my defensive midfielder, although my preference is to squeeze the play in the middle with a high defensive line and offside trap. I like to make sure my team are set up as wide as possible to stretch the opposition and create the space needed for devastating counter attacks, I also set the passing to more direct and the tempo to higher for the fastest possible transition. If a team is sitting deeper against us then I switch to a control mentality with shorter passing. 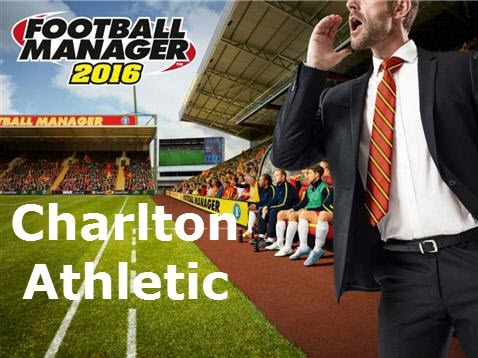 I have found that Football Manager 2016 is all about tweaking your tactic to make the most of your opponents weaknesses. With this in mind I also switch between exploiting the flanks or exploiting the middle. 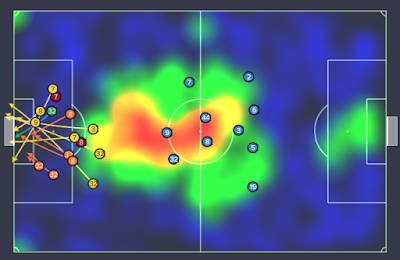 If a team is particularly aggressive on the wings then it would be foolish to work through the middle when there is so much space for me to take advantage of outside then, just as they are moving across to cover that threat, I whip in an early cross to exploit the room they have just vacated. If my opponent doesn't give me this opportunity on the wings, by making sure that they have enough players out wide, then I will exploit my extra players in the middle. But to prevent us getting bogged down here I will tell my players to look for the overlapping fullbacks, once again exploiting the space that my initial instruction has created. But the key thing to remember here is that you don't have to stick to one of these ideas for 90 minutes! Chop and change, keep your opponent off balance as the AI will adapt to what you are trying to do quickly. Slow down the tempo and have some more deliberate build up for 15 minutes and just as the AI starts to creep up to squeeze this sort of play switch to a fast, hard hitting direct style of football with their defence marooned up by the halfway line! 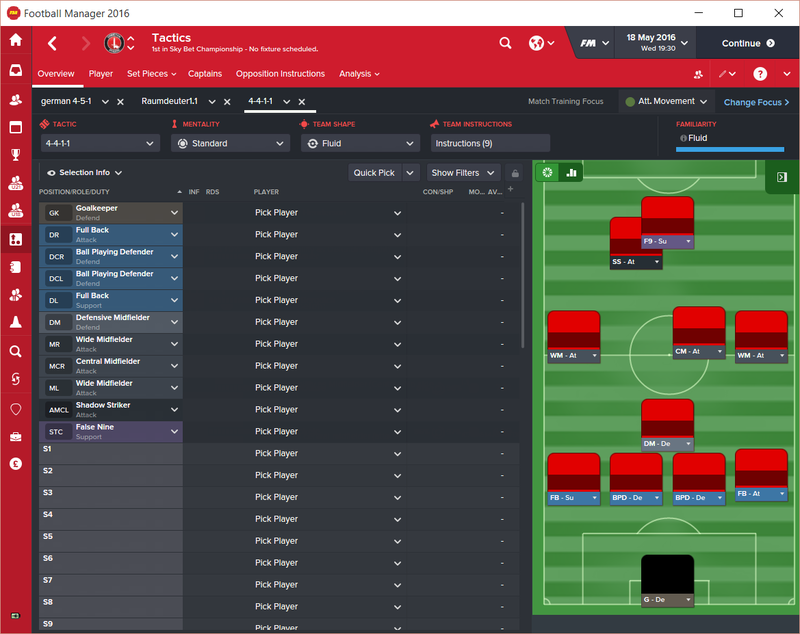 So, with the tactics covered it is time to look at the games, starting with August! What a start to the season, Derby and Wolves managed to really cause us problems defending but no one else did, and just look at all those goals we have scored! 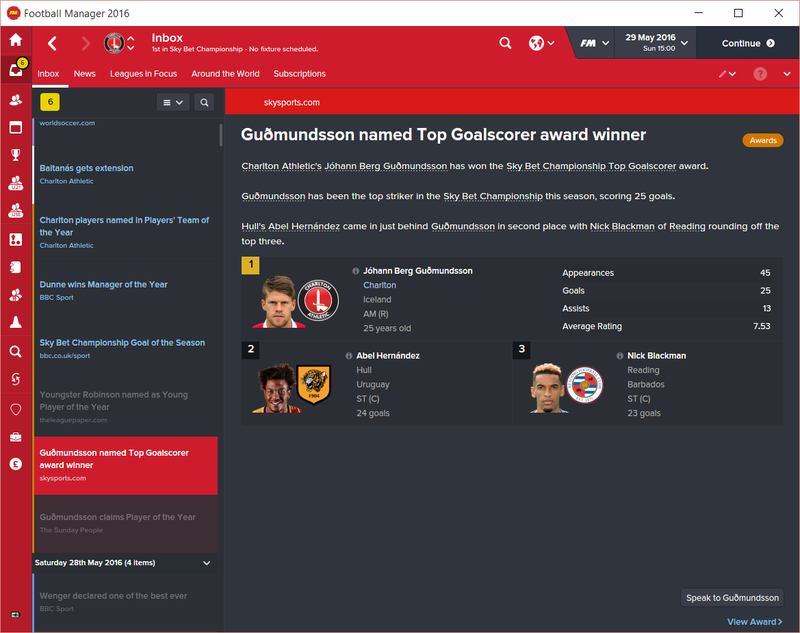 Even my younger players got in on the act in the Capital one cup. Really I could not have asked for a better start to my Charlton Athletic career, and I received the dreaded manager of the month curse as my reward from the football league! 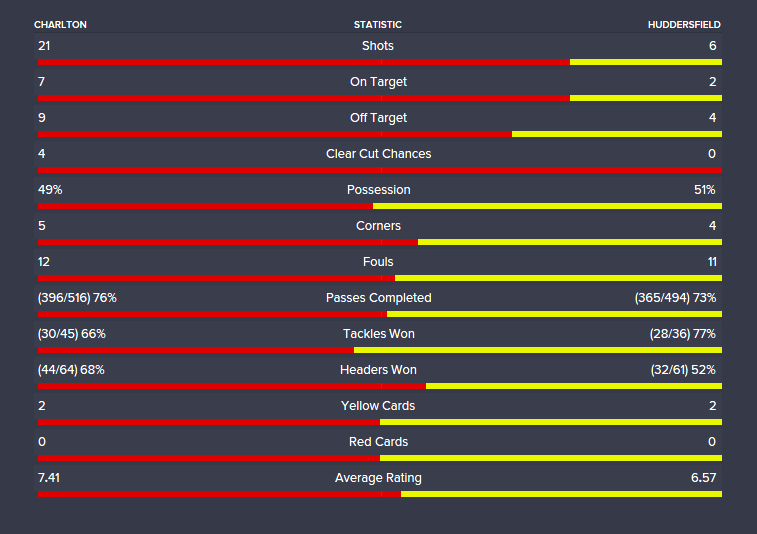 Taking a closer look at some of the games we can see if the tactic is working as I would like. First up is the Derby game. 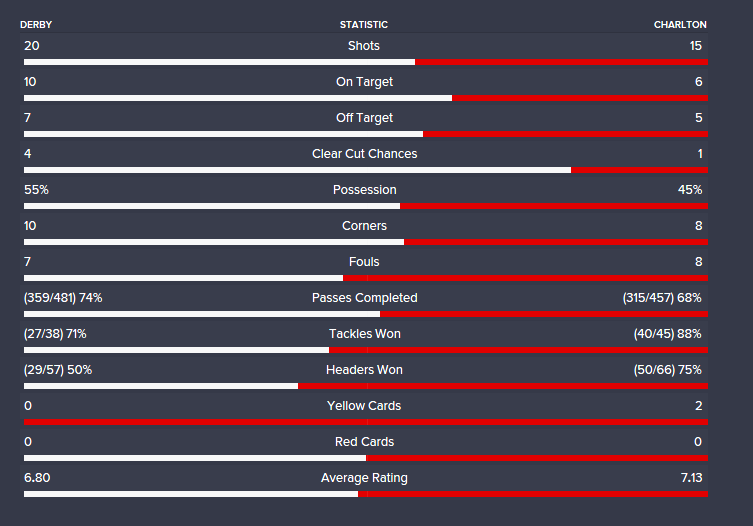 There is some cause for concern here, I have only created one clear cut chance and less than half of my shots are on target, really you want to be aiming for at least 50% on target each game. 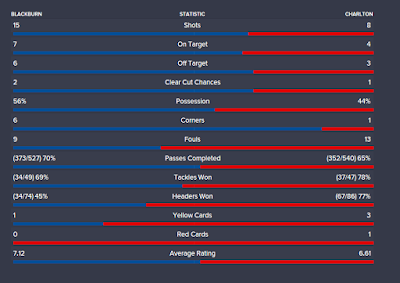 Additionally, Derby created 4 clear cut chances to my one! It looks like we pulled off a bit of a miracle here if I am being perfectly honest, but I also expected us to struggle. Derby are one of the big hitters in this division boasting attacking options such as Darren Bent and Tom Ince, whose contracts I could dream of affording right now. I tried to counter their threat by getting my defence to sit deeper and dropping the offside trap as I know this is something that Bent and Ince would likely exploit. Unfortunately, sitting so deep seems to have created a number of opportunities for them to get shots away and on a better day I expect we would have lost this game. Next we have the Nottingham Forest game. Another of the heavy hitters but this time we were more than a match for them. 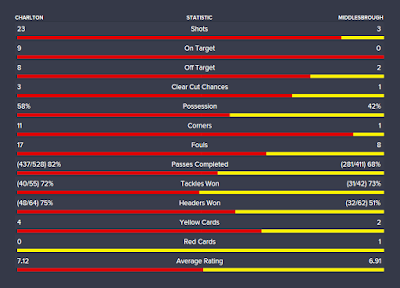 We just about reached the golden 50% on target mark but created 4 clear cut chances this time. 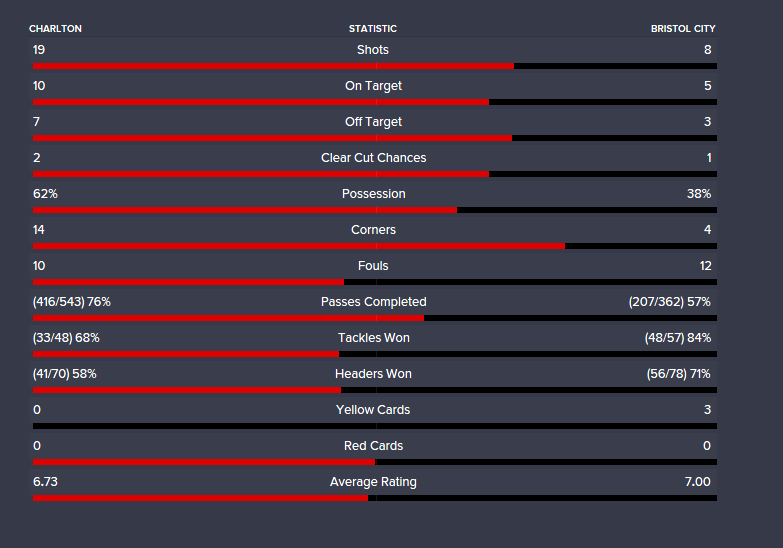 We were also much better at passing this time, completing 100 more than against Derby, and nearly 100 more than Forest. Tackling wise we were a bit all over the place, but thanks to our positioning we limited Forest to only two shots on target, less than 20% of their total shots! 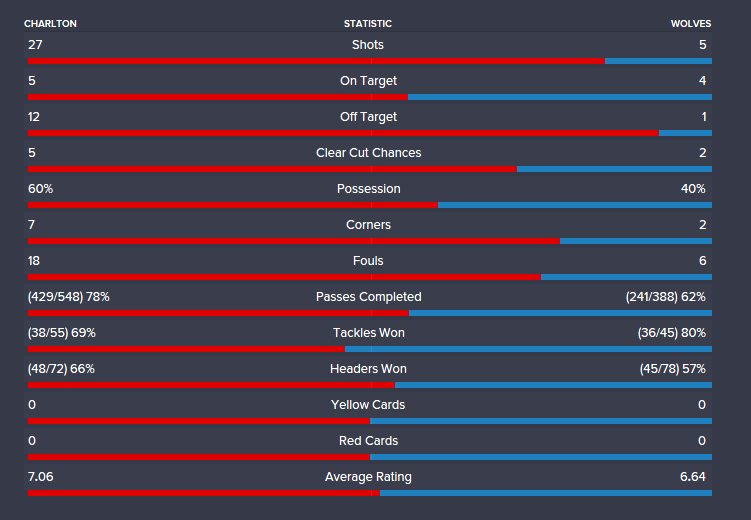 Results like this hopefully conclude that the tactic is working, but there is still work to do! Finally we have the Wolves game, a more balanced affair, we created more clear cut chances but we were not hitting the target 50% of the time. 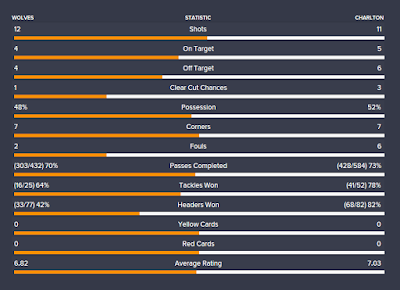 Again, our passing numbers were impressive, as were the number of headers won but our average rating was not that much higher than our opponents which would suggest that something wasn't working. This was the heat map against Wolves. We are very narrow and I really should have been looking to exploit the middle a lot more, or asking the fullbacks to push forward a bit more to create the overlaps on the wing. It's also somewhat concerning to me that there are those green areas so close to the edge of my own box, sitting deeper is creating to much play near my own goal and I should have rectified this sooner. 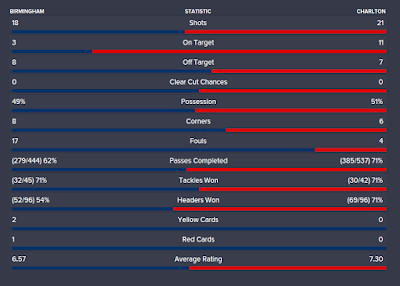 I should also have changed my defensive midfielder to a different role I feel. At this moment in time I think he was a halfback but a simple DM would have been more effective. 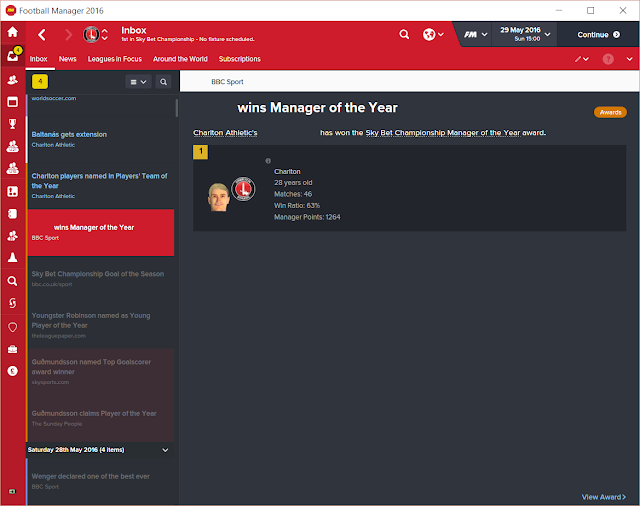 Oh well, I am a new manager on FM 2016, we can put it all down to the learning curve and I will improve as time goes on! Let's move on to a quick look at the transfer window before we move into September. 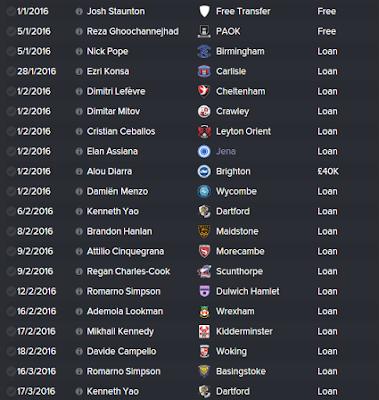 As I mentioned, we didn't have much of a budget to play with so all of my early transfer dealings are free agents. 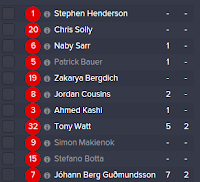 Most of them you have probably never heard of, this is due to the fact that they are all very young players, with the exception of Stefano Botta and Stephen Kelly who were brought in as experienced players to add depth to the first team. Kelly will be my back up right back, allowing Tareiq Holmes-Dennis to go out on loan and get some first team football under his belt. 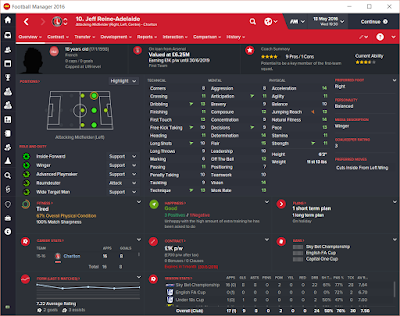 Stefano Botta was a recommendation from one of my scouts and a great addition to my CM stable. Able to cover all of my CM roles he spent most of his time in the CM attack role. 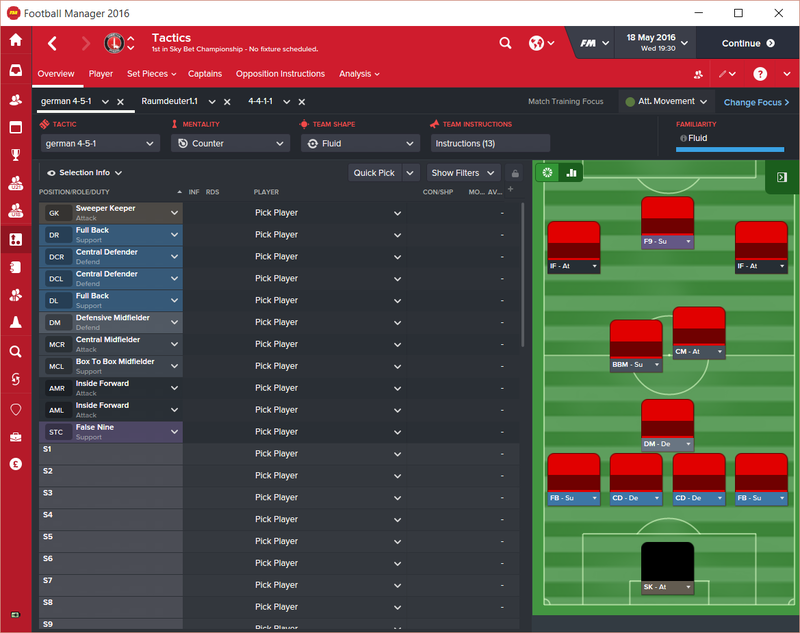 With the other players Menzo and Lefevre are two young strikers who I decided to give a chance and see if I can develop their potential. I don't believe either will be near the first team this year but I will hopefully send them out on loan and see how they develop. 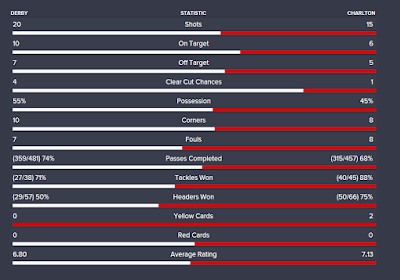 Cinquegrana is an Italian midfielder and looks to have all of the necessary attributes to start developing into a really good attack minded midfielder. 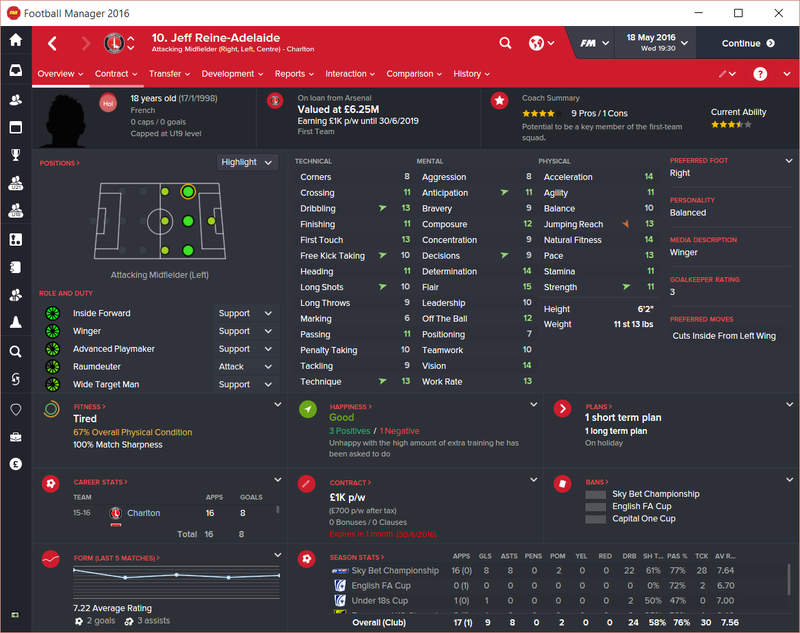 I spent some time developing him in the Under-21 squad before sending him out on loan to get some experience of English football. Finally there is Lionel M'pasi. A young French goalkeeper who spent most of the season on the bench for my Charlton team. I always find that goalkeepers are the hardest prospect to develop as I struggle to give them first team opportunities at my club, but if I loan them out then they aren't receiving the level of coaching that I have set up at the club. Pick your poison I guess, well he spent the season learning from my coaches and maybe next year I will send him out on loan to get some first team experience. 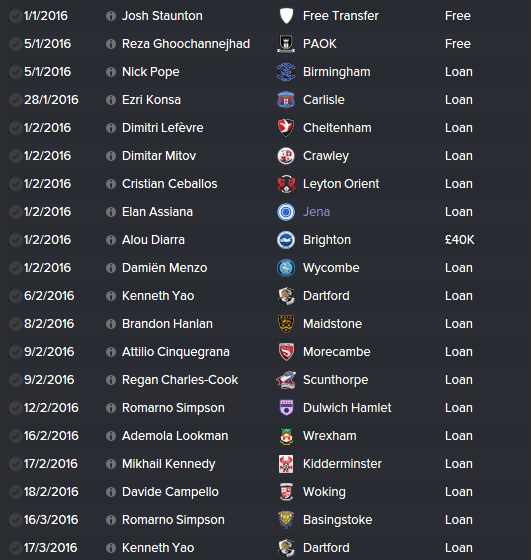 So that about wraps up my transfer dealings. 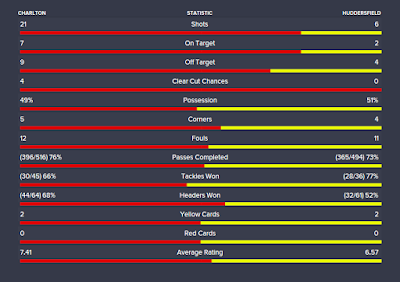 Swansea came in for Ahearne-Grant but were unwilling to meet my valuation of him. I half expected to have to sit down and talk to him about staying at the club but surprisingly there was no knock at the door, I can only assume that our high league position convinced him to stick it out with us a bit longer. So the International window resulted in a short month in terms of games, but things were not as rosy as my first month in the job would have suggested. We went out of the cup to a lower division opponent, disappointing as I would have liked my younger players to get some more games in, and my first league defeat against Blackburn. Let's take a look at that to see if there is anything I can identify now that I should have changed back then. So it would look like the "Counter" mentality really had an effect here. 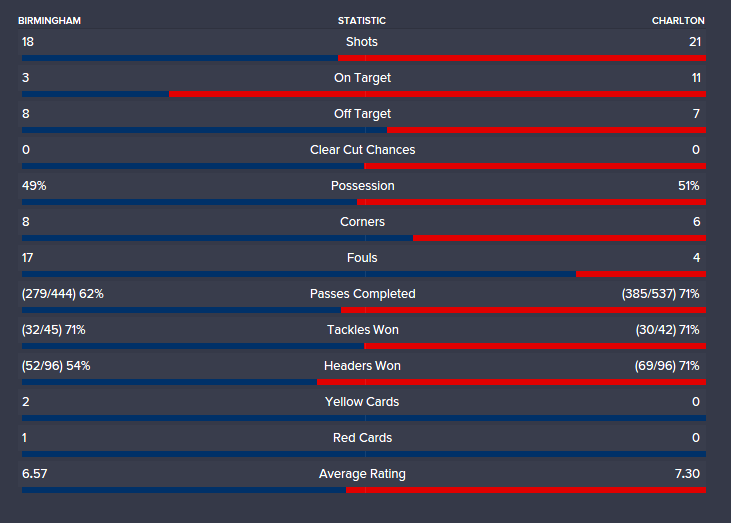 Half the shots of my opponents and 12% less possession. We were also out-passed by Blackburn which is very frustrating. 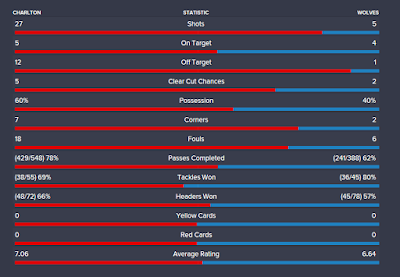 Perhaps the red card has something to do with it but we were already 2-0 down at that point. 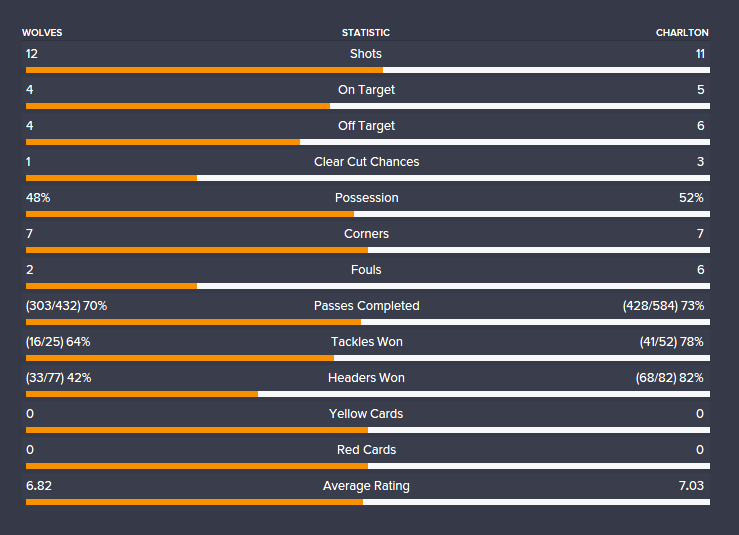 Annoyingly it doesn't look like Blackburn were playing that well either, with only a 7.12 average rating so it really came down to a bad performance from my Charlton side. I set up with a deeper defensive line again due to the pace of Nathan Delfouneso up front for Blackburn, I wasn't as worried about Rhodes as I felt he would not be able to beat us for pace and would get stuck near the DM, but once again this left us defending far too deeply. I mean, just look how far back we are! 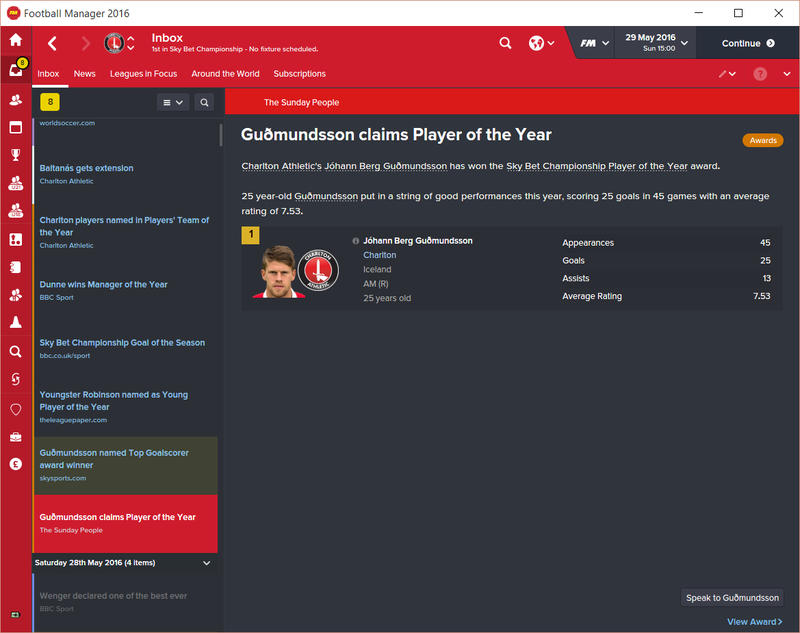 Gudmundsson, the Inside Forward on the right is in his own half, and although we are exploiting the right more this time I imagine that Blackburn were able to push up far more against us. 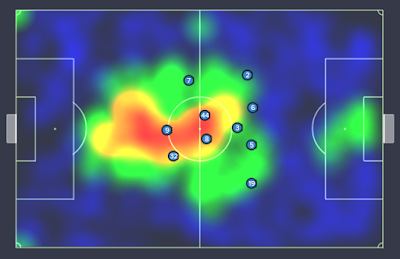 At least the defensive midfielder was able to push a bit further ahead of the centre backs this game, but he was the player that was eventually sent off. I would also have expected Botta, as the attacking CM on the right side of midfield to be further ahead of Jordan Cousins who is a box to box midfielder so this is something that I could have changed. All in all, very frustrating. Let's compare this to the resounding win over Huddersfield only a few days before this game. 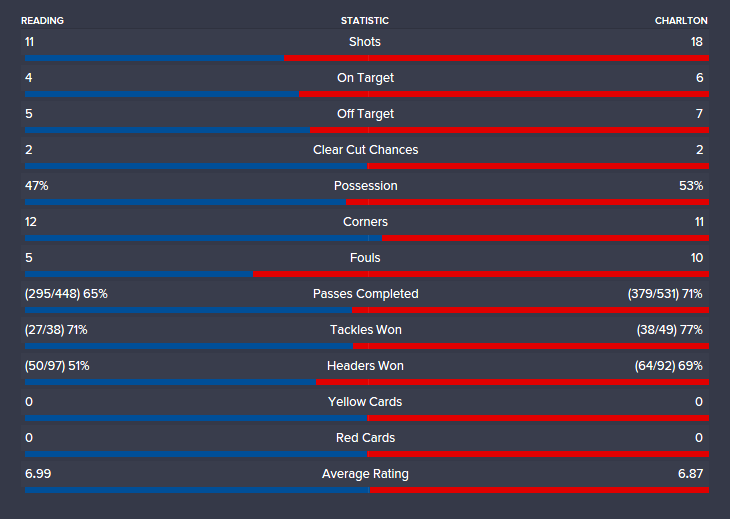 The warning signs were there, only 33% of my shots were on target! 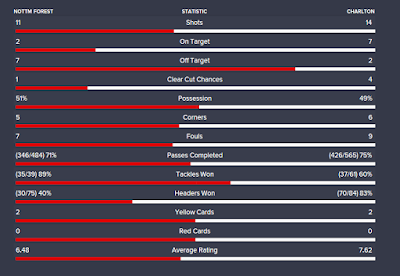 That is an awful figure, and combine that with the missed tackles and I should have seen the problems a mile off. Well there you have it, everyone is pushed up more, we are still spending most of our time in the middle of the park, with maybe a slight leaning to the right, and everything is more compressed in the middle. Cousins is still slightly ahead of Botta which could mean that we don't have enough players in the attacking third when we have the ball. In fact, Cousins actually had more shots than Botta, not difficult when he didn't shoot at all! In fact he didn't seem to contribute much at all, so is the CMa role redundant in this formation? 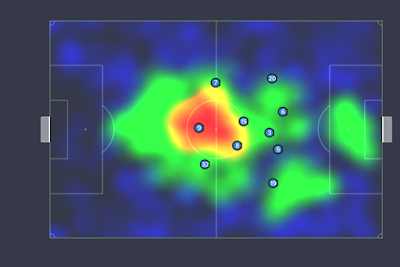 There were no key passes, no shots and he isn't getting further forward than the Box to Box midfielder, I probably should have amended this role to something else where he had a better chance of affecting the game. Finally I want to take a quick look at where my team were shooting from, just in case this would explain why there were so many shots that missed the target. And the answer is not really... 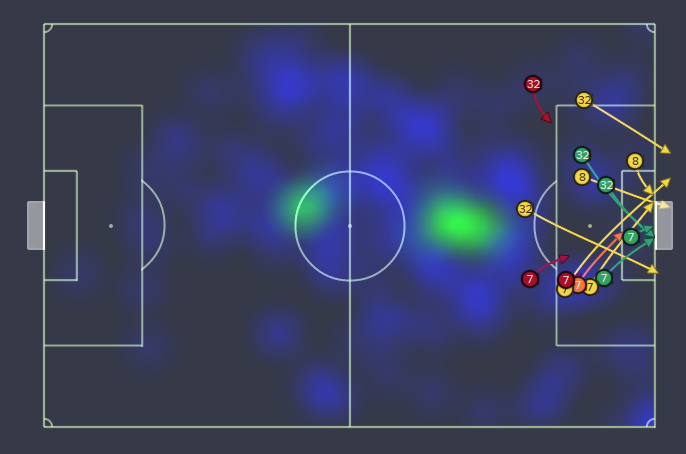 Almost every shot has come from within the 18 yard box, so I think I was right to be concerned with our inability to hit the target. 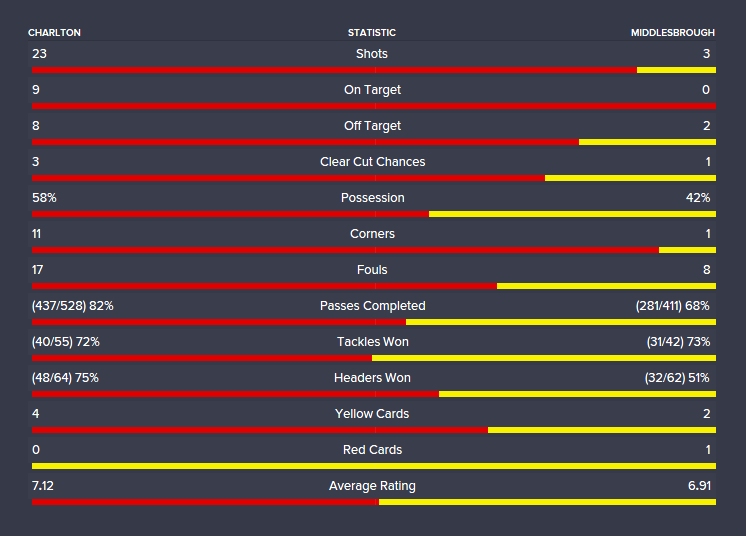 At this stage I believe that I started the team on attacking training and attacking movement, just to see if we could boost the number of shots we were getting on target. I mean, you can't expect to win games if you are failing to hit the target when you are shooting from within your opponents penalty box! Another month of varying results. A tremendous game at Fulham, followed by some rather disappointing results, with the exception of the win at Preston, but even this game should have been won by a bigger margin. Overall you would say that we were the dominant team, everything seemed to be in our favour but we did not perform. The lack of shots on target really hurt us as I feel hitting the 50% mark probably would have seen us nick a draw at least which we would have deserved. Again, the average rating for our opponents was not great, this time they didn't even break through the 7.00 barrier, but we just didn't perform to the level required to win the game and it cost us. The heat map would seem to confirm this. The team isn't sitting too deep, we are working hard in the middle of the park and really should have taken something from the game. So where did it all go so horribly wrong? Shooting... Too many shots from outside the box, too many off target. We created enough opportunities but we didn't take them and it cost us. Honestly I don't know what else to say, from what I can see everything was working as it should be but they just failed to take the opportunities that were presented to them. Another month shortened by international fixtures, but it gave us the chance to regroup, and after a slow start to the month we turned it around heading into December! 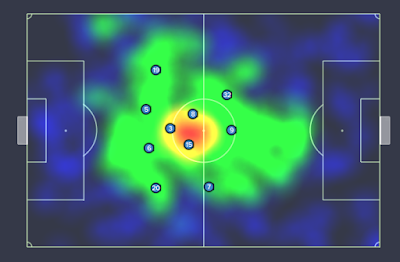 I'm not going to go into all of the heat maps now as I am sure you have had enough of them by now, and you can probably predict the shape and positions of all my players based off of the results from previous months. The one thing that makes me very happy with this screenshot is that we are hitting the target more than 50% of the time again which is really important. I guess you could say that the red card for Birmingham helped us here, but it only came in the 86th minute with the result already decided, as we scored in the 7th and 54th minute! 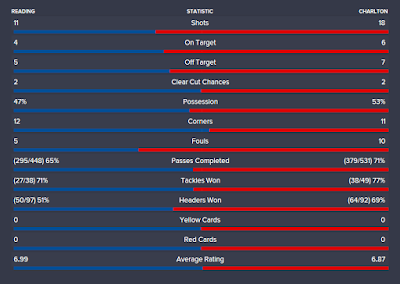 And then we reverted to type against Ipswich. 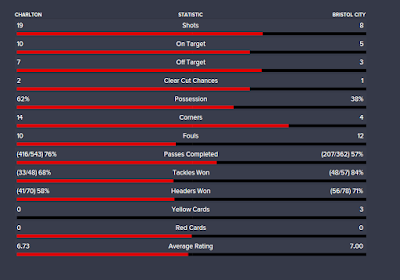 It is great that we won, don't get me wrong, but only just over 33% of our shots on target again???? Come on guys! The first half was a frustrating affair as we failed to take any chances, but a kick up the backside at halftime gave the team the drive they needed to get the result with 3 second half goals! 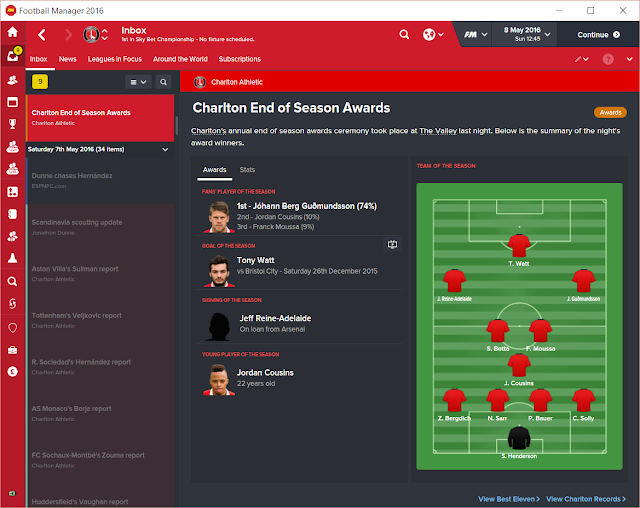 The final month of this post, and the last game of the month saw a change in tactics for Charlton Athletic. 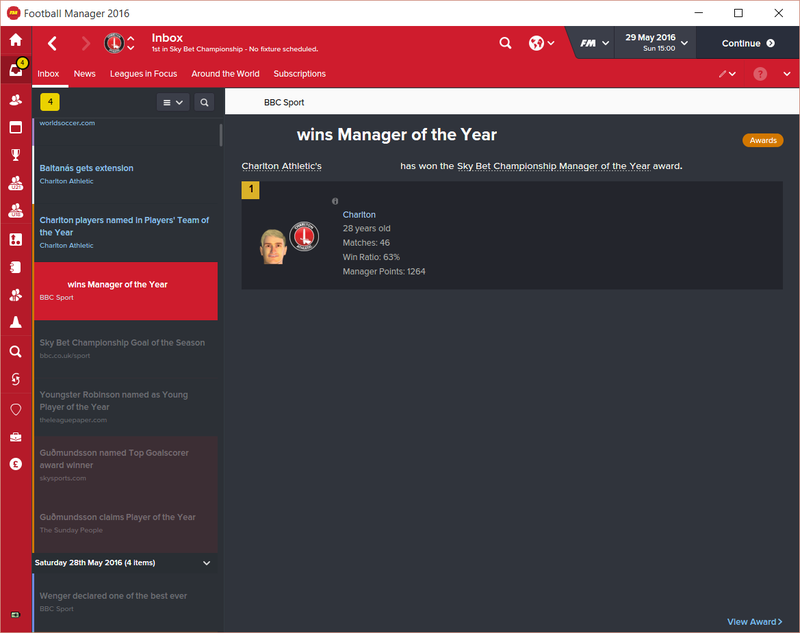 My assistant manager had been going on at me to change to a 4-4-1-1 for a number of months and I finally relented after a 3-2 defeat to Bristol City. 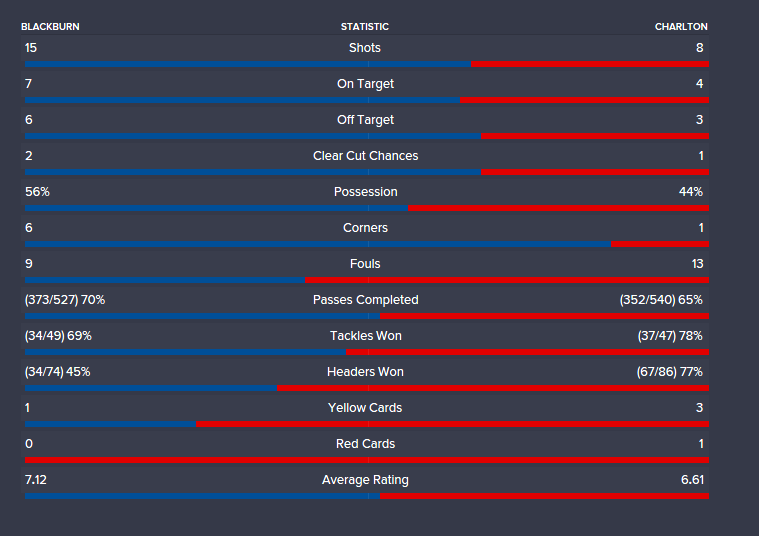 The result against Wolves was only a 1-0 victory but it saw a complete change in style. 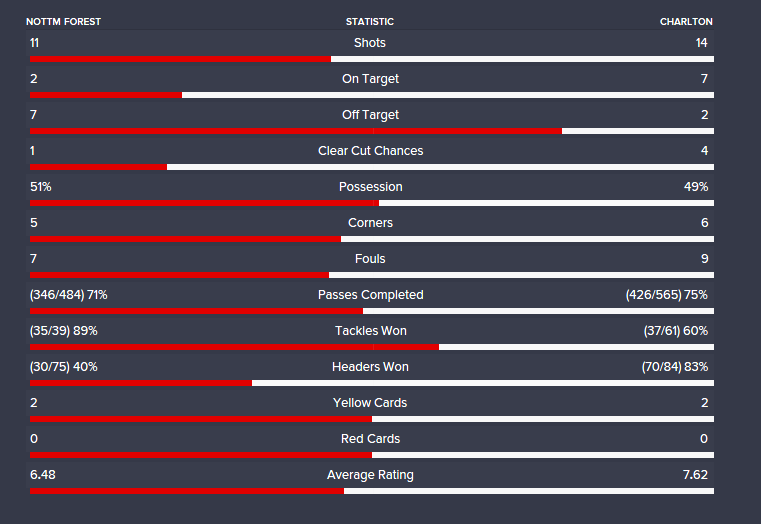 Rather than countering against my opponent we were now looking to dominate possession, unfortunately it doesn't seem to have improved our ability to hit the target with only 5 of 27 shots hitting the target!!!! 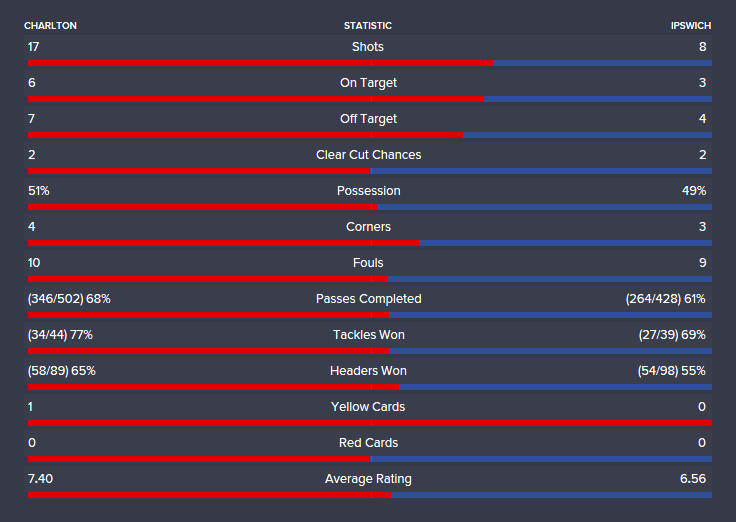 Honestly, that is a pathetic conversion rate and it is no wonder that we only managed the single goal. At least we kept a clean sheet! I will look into this tactic in more depth during the second half of the season once we really see the team get to grips with it. 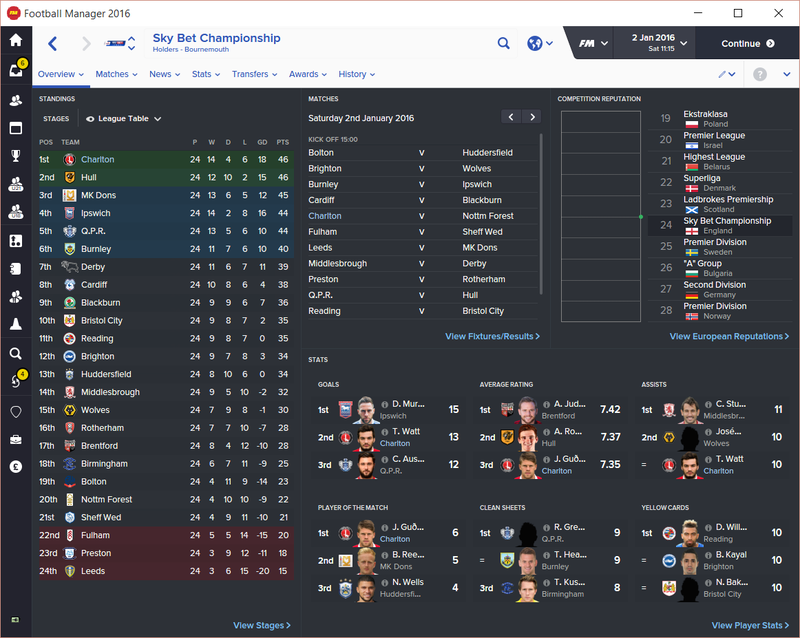 I guess the only thing to do now is to show you the table at the halfway point in the season. Top by goal difference! I will take that considering that we were predicted to be mid-table this season, although I have to admit that I am always aiming for promotion in my first season so we are just about achieving my goals this season. 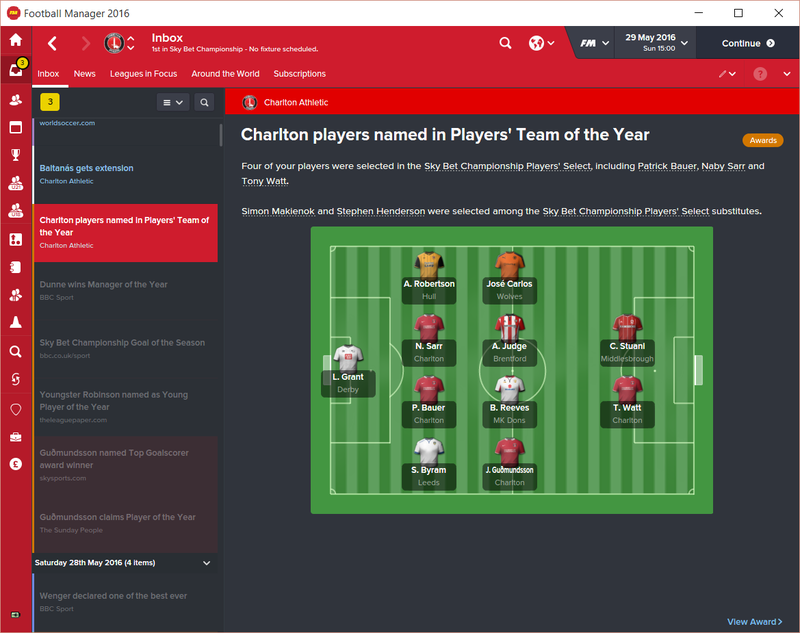 Keep an eye out for the next update on my Charlton team that will appear in the near future as we push for promotion in the second half of the season.